Weather to a great extent is entirely created by the planet itself, perhaps industry alters things a little, sending various chemical compounds in the air for which the atmosphere is likely to react a bit, but I doubt one nuclear plant or coal plant created a pile of tornadoes to wipe out a large portion of a state. God if you believe in one did not say, death to rednecks, tornadoes headed to teach you a lesson. Government did not say, hey we have some high tech weather control methods which can prevent tornadoes but we decided not to use them. Rednecks looking for birth certificates were not the cause either. Pray if you pray, or hope if you don't, for aid and relief to those who lost families, homes, and friends. Many suffered, you'd want help if it was you. 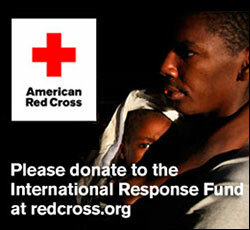 Donate to Red Cross if you have the ability, or squeeze your wallet if you don't think you can. Again, I am stating an opinion, surely to be disagreed by someone. That does not make that someone ignorant, uneducated, or heartless, but in some opinions it could. Many love specific shows, be it drama, comedy, or reality based, many hate the same shows.